I’ve been thinking more about the idea of a job guarantee, which I wrote about recently. One issue with the idea is that it has become easy to critique in significant part because its proponents often make incoherent claims about it. But this can happen to any idea, even those that can be reconstructed along coherent lines. So what I want to do is here is try to hone in on the idea through a more hypothetical exercise rather than simply spotting contradictions and impossibilities in existing advocacy. One way to go about the hypothetical exercise is to compare the job guarantee idea to a more conventional alternative: unemployment benefits. In good systems, all unemployed people receive some kind of income benefit. In Finland, for instance, you should always at least be eligible for the labor market subsidy or basic unemployment benefit, which pays a flat weekly sum to everyone in the labor market who does not have a job, including new labor market entrants who have not worked before. Notably, these benefits have an infinite duration. The question for a job guarantee is what exactly it delivers that the infinite basic unemployment benefit scheme does not? Does the job guarantee provide income? Yes. But so does the basic unemployment scheme. Indeed, since both provide a fixed minimum income, they have identical income characteristics. Does the job guarantee keep people active? Yes. But you can put activity requirements on unemployment benefits as well. Indeed, the bourgeois coalition governing Finland just imposed such requirements on their unemployment system, sparking off a good deal of controversy and protest. You can require people on such benefits to complete certain search tasks, take training courses, and all sorts of other things like that. I am not saying these activity requirements are good, but just noting that conditioning receipt of income on labor market activity is already possible in an infinite unemployment benefit scheme. Does the job guarantee add significant value to the economy, i.e. increase economic output meaningfully? This is one of the major points of contention in the debate, but it seems to me that the answer is no. They cannot displace existing public sector work. They cannot be in private firms, i.e. you cannot insert the JG workers into businesses even though businesses coordinate almost all of the production in our system. They must be doable by basically anyone, including those with no skills. They must require very little capital, i.e. equipment, facilities, and other non-labor inputs. There are things that would meet these standards. As Pavlina Tcherneva points out, you can have people plant small gardens, do community theater productions, or pick up trash (not in the garbage truck sense of course). It’s not nothing, but it’s close to nothing. Many JG advocates have an expanded appreciation of the idea of “work” or of a “job” that isn’t strictly reducible to income plus activity plus output. I must say I do not fully share in this appreciation, but I can kind of glimpse it from time to time when thinking about things like dignity and identity and place. It’s not just that JG workers get an income for activities that have some kind of output; it’s that they get a job and all that means in society. Whether this is true or not is initially a bit of a metaphysical question. For instance, couldn’t we say that unemployed people subject to activity requirements already have a job, the job of jobseeking? That is a legitimate labor-intensive role to have in any economy that frequently reallocates labor to new uses. Furthermore, what exactly is a job? For instance, it occurred to me recently that one easy way to do a JG would be to take the infinite unemployment benefit scheme and attach to it a requirement that everyone on it post an opinion online periodically (whether by video, text, or whatever medium). The opinion could be about sports, entertainment, politics, whatever. This might seem flip, but this is a real job that satisfies all the Output requirements listed above. Indeed, I am doing this job right now. Would imposing such a requirement to unemployment benefit receipt (ahem JG wage receipt) be metaphysically transformative? If not, why not? Perhaps the metaphysical question is the wrong one and what we are really getting at here is status. On this view, the importance of having “work” or a “job” is that you get social status from it, which is important for well-being. Would JG provide this sought-after status? It is impossible to say for sure because it depends entirely on how society decides to integrate JG into its imagination. I suppose it could decide to regard the JG as real employment just like any other job. Though it is just as likely (or more likely) that it will be regarded as something less than real employment, a home for the unemployable and all the stigma that comes with that. Hell, much of our society already treats existing jobs in the retail and food service sectors as low-status and embarrassing. A cynic might say that our society hates the poor, not the unemployed per se. Fixing vicious social attitudes and status hierarchies that have formed around labor market positions is probably going to require a different approach altogether. 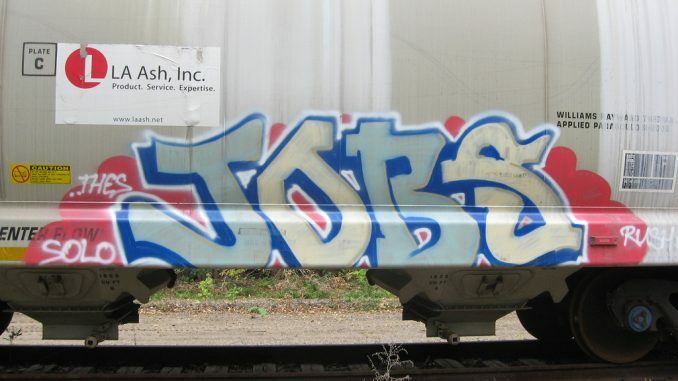 Ultimately, the main thing that is unique and valuable about the JG idea is that it recognizes that getting people into work can be a good way to help those who are structurally unemployed. The structurally unemployed are those who are not unemployed due to bad macro stabilization or because they are in the middle of switching jobs but rather those whose current set of skills and such are basically unemployable in the current economy. Providing such people unemployment benefits (even with activity requirements) will not get them working again while getting them into some sort of job might. But the JG is poorly designed to deal with structural unemployment issues. A JG that cannot compete with existing public sector jobs and cannot insert JG workers into private firms is one that is going to have unemployed people doing tasks that are mostly irrelevant to the non-JG labor market, especially given the other constraints listed in the Output section. So unemployment benefits will not do much to fix structural unemployment problems, but neither will the JG as currently advocated. Active labor market policies (ALMP) like providing subsidized jobs in existing productive units (companies, agencies, etc.) to target populations is probably the more effective approach.